Relive the magic of Harry Potter with this sparkling keyring. 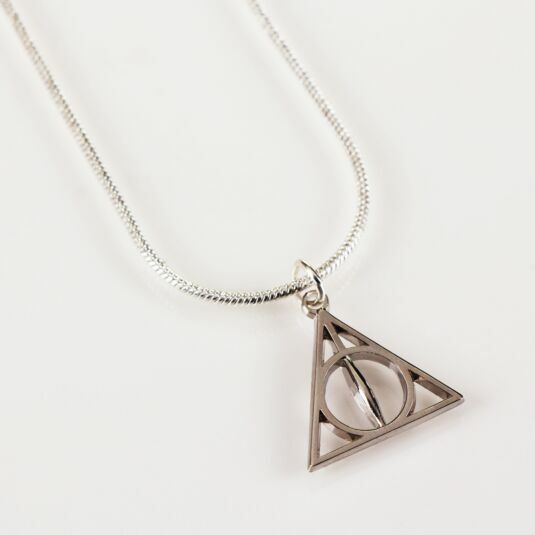 The Deathly Hallows are such an important part of the whole saga and this necklace is a great way to celebrate that. 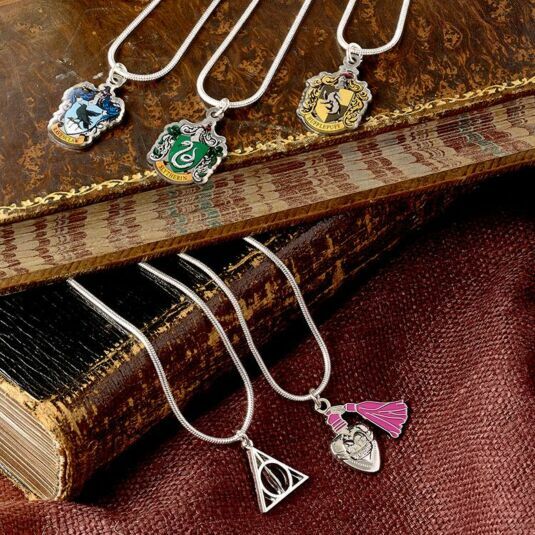 This item is a perfect gift for any Harry Potter fans, be that friends, family, or yourself! The necklace itself has a stunning silver plated chain, and along this chain is a stunning charm. When unclasped, this necklace measures 42cm. 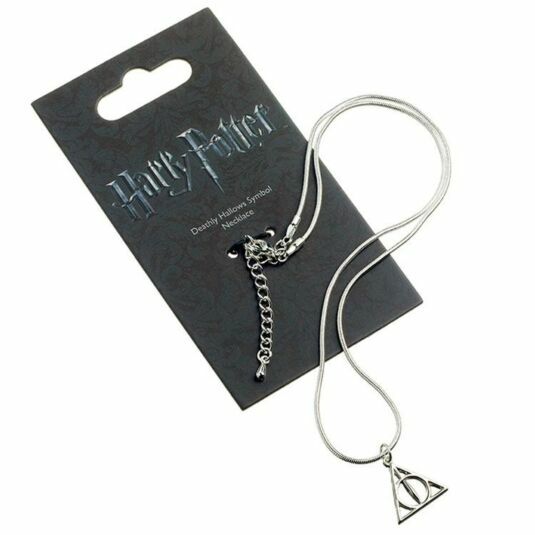 The charm is a great depiction of the Deathly Hallows, exactly as the film showed them. The iconic triangle, circle, and line logo is sure to conjure up memories of the epic conclusion to the saga, and what better way to celebrate this than with a beautiful piece of jewellery. 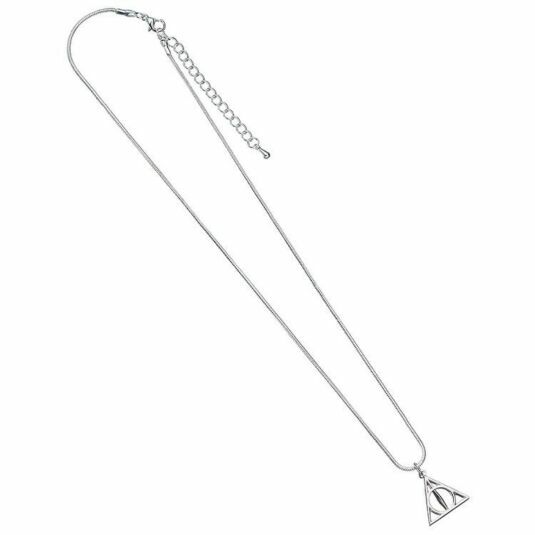 This product is the perfect gift for any Harry Potter fan, either to add to their memorabilia, or add to their collection of jewellery! This item comes with official Harry Potter branded packaging.